The NIM updates typically handle all core applications updates required to keep NIM up to date. However OS security updates are continually made available by the Ubuntu community. NIM uses Apache as it’s web server to deliver content to browsers as well as interact with project servers. In some studio environments there may be a need to run the apache service as a different user with unique access permissions. This user will require permissions to read and write to any project server you have mounted on the NIM VM. This following example will set the apache server to use the existing user NIM. There are several approaches you can take to backup you NIM data. 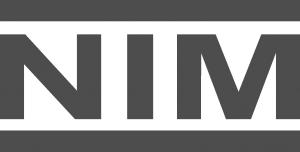 NIM uses symbolic links to manage the publishing of versionless files. Linux and OS X support symbolic links natively. However, when using Windows based workstations there may be a need to enable the OS to recognize symbolic links. By default the NIM VM comes with phpMyAdmin enabled to administrate the NIM database directly. You can limit access to the phpMyAdmin interface to specific machines by editing the apache.conf file.